Measurements: 14mm long X 10mm wide X 5mm high. Characteristics: These have a flat back and a domed front. The borders are lightly faceted. Color: Translucent Brown and White. Additional Information: The second picture shows a cab that looks like it has a red stripe. This is just the way the sun is hitting the brown part. 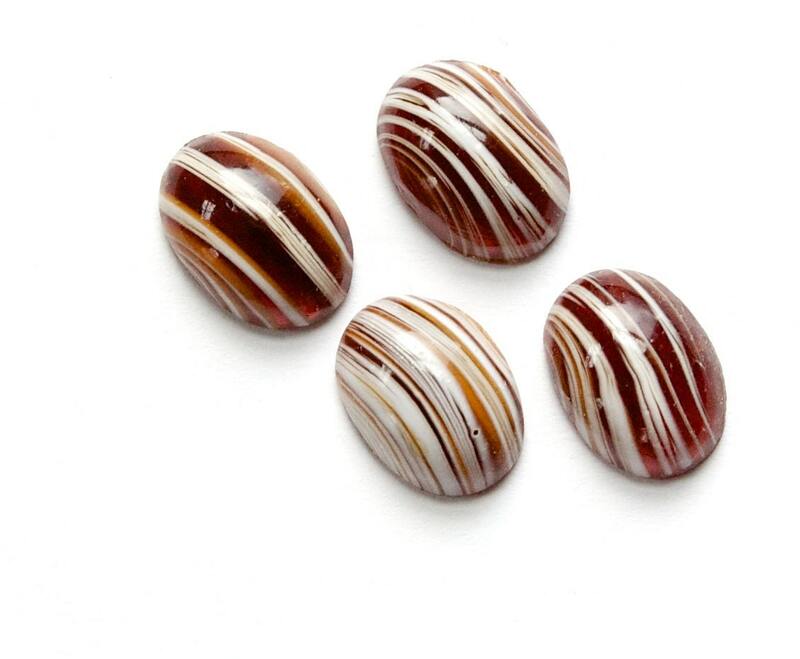 these are Cherry Brand cabochons. Yummytreasures has great cabochons. I will go back again and again and again. Everyone should go take a look!